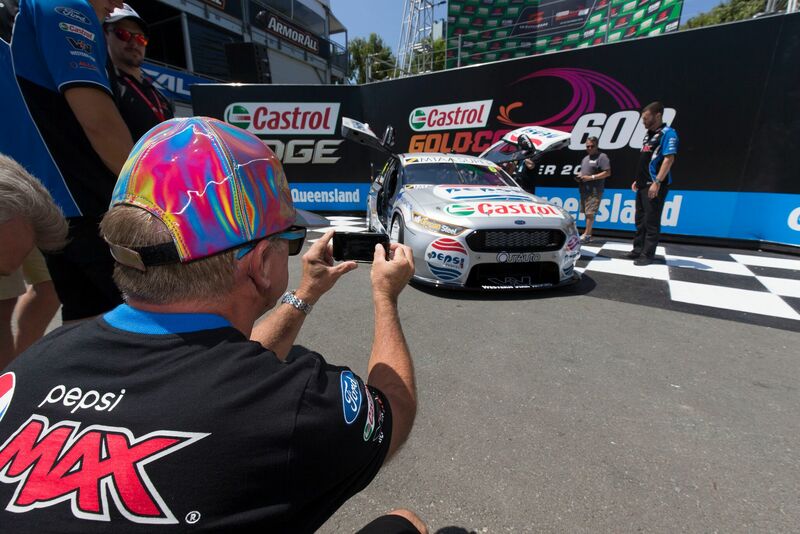 Was privileged to make my 250th Event Start at the GC600 on the Gold Coast in October this year. The most starts of any driver in the history of V8 Supercars. Great story put together by the team at Fox Motorsport and interview by Mark Skaife to commemorate this milestone. 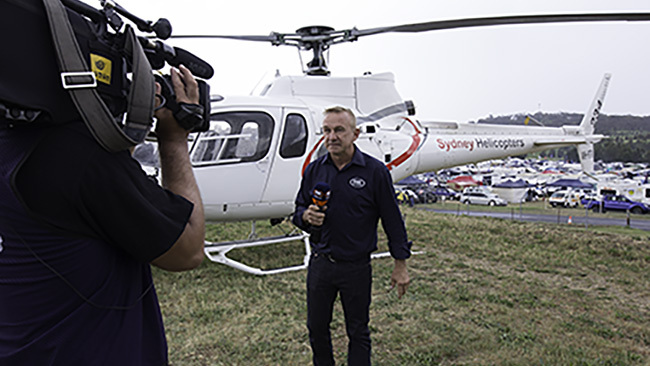 Following the story that I did during the Fox Sports Bathurst 1000 telecast in October, I had quite a lot of people contact me asking for the footage, so here it is again if you missed out. Heaps of fun and a must do when making the trek to The Mountain. Having a bit of a laugh with Back to the Future and Pro Drive Racing celebrating 30 years of one of my favourite movies. Excited to be driving with Pro Drive for the GC600 replacing injured Chaz Mostert. 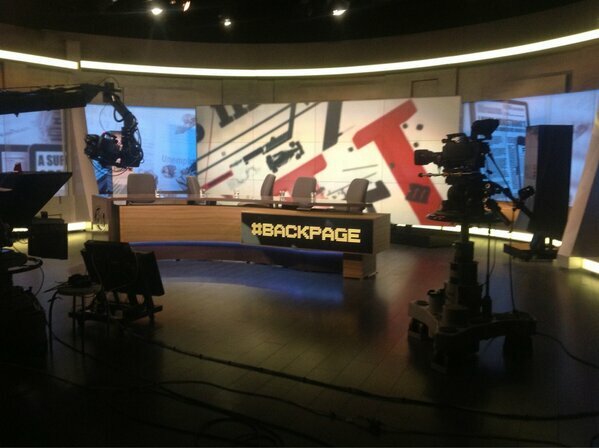 If you missed my appearance on Fox Sports Back Page program last week, here it is again. Episode 2 of HRT Driver Dissection, where we ask the boys the IMPORTANT questions. JAMES Courtney has ruled himself out of the Bathurst 1000 with the Holden star succumbing to a rib injury sustained in a freak pit-lane accident at Sydney Motorsport Park in August. The Holden Racing Team (HRT) held a press conference at 11am this morning inside the HRT Garage at Bathurst to confirm Courtney will not take part in the 1000km V8 showpiece, which begins with three practice sessions on Thursday. Courtney officially pulled out of Australia’s greatest motor race last night after his latest scans revealed the five ribs he broke when he was knocked down by flying metal signage in August had failed to heal. “I’m massively massively annoyed…I’m gutted,” Courtney said. “There’s still a lot of soft tissue pain…I’m still focused and the GC600 is the next target. 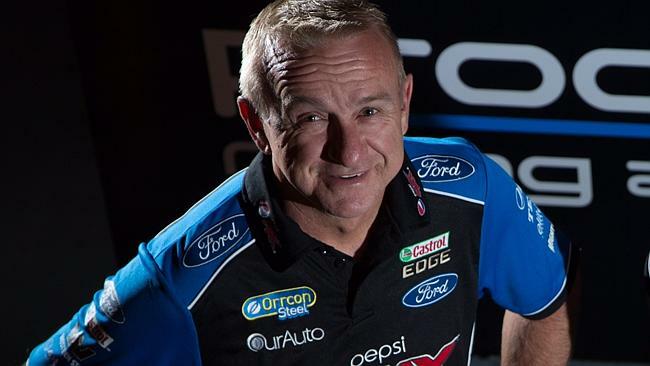 Veteran Holden driver Russell Ingall was announced as Courtney’s replacement with the V8 “Enforcer’’ to get another shock shot at Bathurst glory 305 days after officially retiring from the sport. Ingall says there’s no reason he and Jack Perkins can’t finish on the podium at the year’s biggest V8 Supercars race. 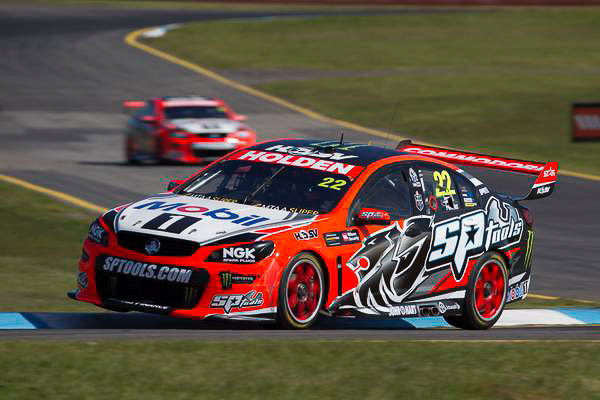 ‘The Enforcer’ showed good form at last month’s Wilson Security Sandown 500 and earned a top 10 finish with Perkins. The pair battled through the field after starting 24th at the 500, with Perkins caught in an incident with Craig Lowndes in qualifying. 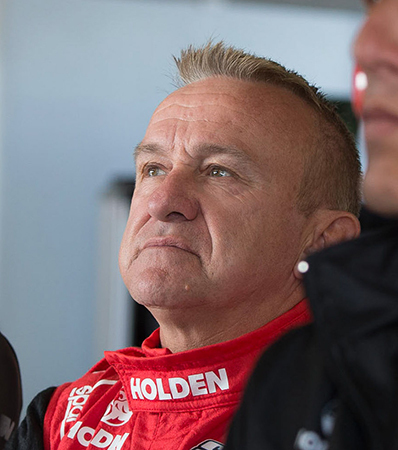 “There’s no reason why we can’t stand on the podium this weekend,” Ingall said. “We’re very confident. With everything that’s happened, there’s one thing that would put a smile on James’ face – to see that #22 on the podium. “We’re not here to mess around and fill a gap. The guys have gone to a lot of trouble to get this far – the preparation of the car – we’re going to have a big stab at it. Funnily enough, Ingall’s two wins in the 1000 came with Jack’s father Larry Perkins back in 1995 and ’97. “There’s so much history there with Jack Perkins – I look at that vision from ‘95 and Jack was a little bit higher than my knees and crying when his dad … both of us won the race,” he said. “Now, there we are sitting in the same car, in the factory Holden Racing Team with the Perkins name and the Ingall name on the side of the car again. So much prestige is attached to the Great Race and with so many variables to face on the day, anything can happen out on track. 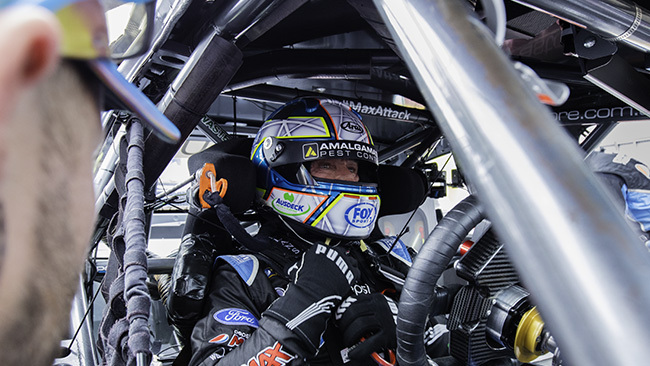 Ingall understood how hard it was for Courtney to stand down – but is looking forward to a crack in what he believes will be a very competitive race car. “Forget the Championship, we still look at Bathurst as the standalone race because of the stature of it,” Ingall said. “The team has worked so hard over the last few years in a big rebuilding phase that’s been very public. I found out at Sandown that the cars were very competitive and James would’ve been a genuine contender to win this race. Results have been lean for the factory team this season – but a strong performance at Bathurst can transform a year. For Ingall, it’s not just about doing a good job for Courtney, but the whole Holden Racing Team. “We got thrown in the deep end at Sandown, but I sense that it’s a very good team, very professional, and has come a long way,” Ingall said. “The car’s competitive – we were a top 10 car all Sandown – so it’s still looking alright. A bit more notice meant Ingall was able to prepare for what is a long and physical race around Mount Panorama. “I’ve been getting into the Skaifey school of wine tasting since I’ve been doing commentary duties so that had to be banned!” he joked, referring to his fellow FOX SPORTS expert Mark Skaife. While Courtney was disappointed not to be in the car, the 2010 Champion was pleased to be back in the team environment and with Ingall doing the job on Sunday. 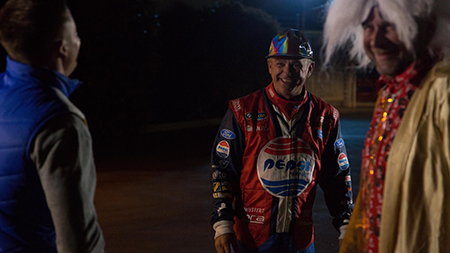 “He’s done a few laps around here!” Courtney said of Ingall. “He did a great job at Sandown – ‘the Muscle’ is a good mate and of anyone I could’ve picked it’s good that he stepped up. The 2015 Audi Red Boot Rally is over for another year. This is the third annual running of this event with a combined organizing effort from Audi Australia, Frizelle’s Automotive Group and Ronald McDonald House Charities. 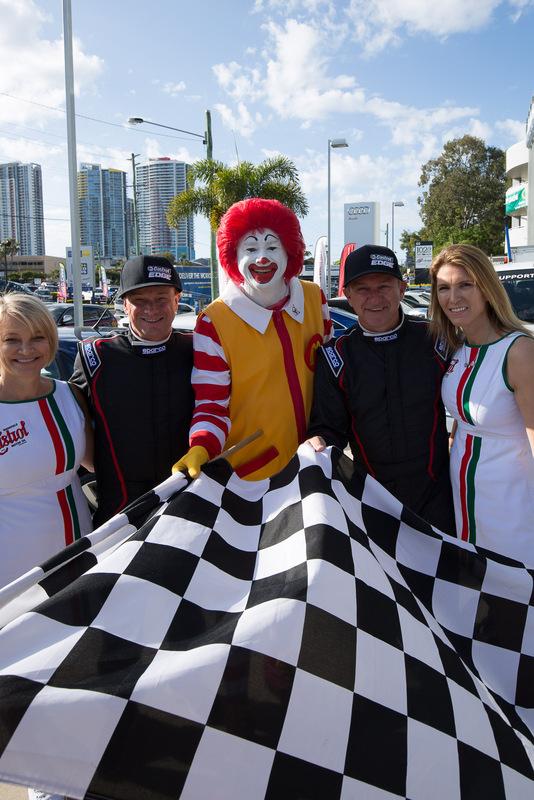 The whole point of the Rally is to raise money that goes directly towards building Ronald McDonald Housing facilities aimed at families with sick children who live remotely from the hospitals where their children are being treated. Visiting these hospitals and facilities on the first day of the Rally in Brisbane really highlights the great work and incredible effort the Ronald McDonald Group have achieved and talking to some of the families emphasized how much being able to utilize the Ronald McDonald Housing really has made their lives easier in difficult circumstances. Hundreds of thousands of dollars have been raised over the three years by this Rally with the latest tally going towards an 84 room, 13 level building in the Brisbane hospital precinct. It’s so rewarding to know that everyone on the Rally has had a hand in making this project come true. The format of the Rally is that teams “purchase” cars for the three day event which they can then on-sell as sponsorship similar to what we do on the race car. Some major corporate companies are now getting behind this and we saw some real name-brand Australian companies getting involved. This year I teamed up with World Travel Professionals CEO’s Michael and Lisa to form the “Travel Enforcer’s” Team. Tasks and challenges were given to the teams throughout the three days “Top Gear Style” in a white envelope at each stage of the rally. The Tasks had to be completed for team points with one of the more unusual challenges set of having to go into the main street of Byron Bay and busking for donations after coming up with our own little entertaining acts to perform on the street. As weird as it sounds, it was actually quite fun and the generosity from the public was fantastic. During this one task alone, we even raised over $2,000 in half an hour between the teams, all of which was more dollars to add to the RMHC fund. The night activities were fantastic as usual with some great entertainment including local singers, dancers and funny man Vince Sorrenti having everyone in hysterics. The Rally’s home base this year was at The Byron at Byron, where the facilities and accommodation were first class. I can safely say that every team involved had a great time and driving around South East Queensland in some of Audi’s most expensive and high performance vehicles made the event even more special. All the teams that competed should be commended on their efforts and team fund raising that is imperative in making this event a success. If there is anyone considering entering this event next year, my recommendation is definitely do it. It supports an incredible charity and is one of the best organized events that I have ever been on so have a look on the RMHSEQ website and see the details from previous years as well as this one. Finally, I’d like to thank all of the sponsors involved with our entry and congratulate them for their generosity and support during the 2015 Audi Red Boot Rally. The third annual Red Boot Rally kicks off this Wednesday 23 September 2015. The Rally circumnavigates South East Queensland on fun and entertaining challenges over three days in over 3.5 million dollars worth of Audi Australia’s most exclusive performance vehicles. The event is solely aimed at raising money for Ronald McDonald House Charities. Last year over $302,000 was raised which directly went towards the development of the new Ronald McDonald House in South Brisbane that accommodates families attending hospitals in that area. I’m really excited about doing this event. This is my second time attending and the generosity that is shown by the sponsors of the event and the competitors is unbelievable. Every cent that is raised goes directly to building facilities that will help parents of seriously ill children and make their lives just that little bit more comfortable. I certainly appreciate the support that I have received from the Motorsport community sponsoring our #22 RS7 Audi. Other contestants will include Spida Everitt from Gold FM, Gordon Tallis, Scott Prince and of course Ronald McDonald. The event will depart from Audi Centre Gold in Southport on Wednesday 23 September at 7.45 am. Radio and social media updates will continue throughout the event.